There are plenty MMA fighters that have been reported as practicing meditation regularly to improve their game. Few of the reported MMA fighters who have been practicing meditation are Jon Jones, Conor McGregor, Lyoto Machida, Diego Sanchez, Anderson Silva, and many more. Thanks to brain imagery technology, we can now look inside to see what’s going on with our brain when we are meditating. We have learned that certain parts of the brain temporarily shut down which was once thought to be counter productive. However we now find that the process of information dramatically increases in speed and effectiveness. This temporal shutdown of the prefrontal cortex is called Transient Hypofrontality. Now when we are competing we need a complete attention, if not, results in serious injury. We also find that when we’re competing, our brain patterns are in the same Transient Hypofrontality. During this extremely competitive environment, fighters also report Intensive Focused attention, time distortion, perception of pain changes just to name a few (Read this article 9 reported behaviours). This state of mind is known to be called the Zone or as most including myself called it The Flow State. If you’re involved in any type of extreme sports such as Mixed Martial Arts, then it is normal for you to search for ways to improve your sports performance. You spend lots of time in the gym each week hitting the weights and doing number of sport specific sessions to complement your training. If you want to be a great MMA Fighter, you need to have a complete control of your mind and emotions before and during the competition. No exceptions. This is not only my view, but countless Martial Artists have been doing it for long. “A strong body is a good asset. A strong mind is a very good asset.” - Rickson Gracie. However, many martial art students dismiss meditation as something that is not useful, and don’t even really consider it as an ‘exercise’. I personally believe this is due to the forgotten core of a true Martial Artist. We have forgotten that a Martial Artist is build from a Warrior and a Scholar. And only together do they form a true Martial Artist. The rope between these two is called the Flow. It is perhaps interesting, they say. But the vast majority act as if it has nothing to do with them. They disregard developing this fighting ability so this automatically leads them to exclude it in their entire training plan. They didn’t know that they need to be in the State when they are fighting! If you’re one of those athletes who overlook this form of activity, you are making a very huge mistake. The facts are clear that meditation does have a lot to offer for any serious athlete, and many Professional MMA fighters like Lyoto Machida, Jon Jones, Diego Sanchez, Gunnar Nelson and more already proved that. In short, meditation shouldn’t be overlooked so quickly if you want to reach the peak of your performance. It is important to learn new tasks over time if you want to excel in MMA, BJJ, wrestling, etc. and meditation can help you with that. Richard Davidson, the director of the Laboratory for Affective Neuroscience at the University of Wisconsin once said that “Sports meditation techniques are intended to relax the athletes’ bodies and minds while increasing their ability to focus on performance”. Meditation can also help increase the total attention span of the athlete as well as improve alertness. Visualization, also known as imagery is where an athlete pictures out themselves performing a physical task, executing it to perfection. By practicing meditation, visualization or imagery can be achieved easily. During imaging an activity, the brain sends out low levels out low levels of impulses through the nerves to the muscles that are being activated in one’s imagination. This low level nerve urges help to establish a mental blueprint of what is required to perform the task, making this movement easier to perform. One effective way to achieve optimum performance in whatever sports you are in, is to get into the ‘flow state’ also called as ‘the zone’. As a particular mental state where the mind tunes out all other distractions with a solely focused task at hand, meditation is definitely one way to get into this state. If you aren’t familiar what it’s like to be in flow state, check out this 50minute documentary video to further explain you what flow state can bring into your lives. Every after game or training, MMA Fighters often gain bruises and pain, well for them it is normal and a part of their sport. It will take time to heal and recover but by practicing meditation, the recovery period increases than with athlete who doesn’t meditate at all. How does it work? Recovery period occur during sleep/rest and by practicing meditation, athletes can have enough amount of sleep without experiencing insomnia or distractions. Meditation can boost immune system, preventing injury and illness that can affect the training and performance. By practicing meditation and breathing exercises you’ll calm your thoughts by focusing your attention on one particular experience, you’ll learn how to tune out any other distractions. This doesn’t require sitting in a lotus position. You can achieve the correct state by sitting comfortably with your hands on your knees. You will be able to tap to your subconscious and slowly control your inner self while getting into the top and go even beyond it. You need to trigger this next meditative state of mind, which we call The FLOW STATE by practicing specific physical exercises. You need to create a workout that activates the flow state triggers. So, How do you know if the exercise you are doing are promoting this state? With my experience performing movements that require “deep embodiment” of physical awareness that stimulates proprioception and vestibular awareness will be more likely to trigger Flow. Acknowledgment and requirement for recovery. One of the cycles of Flow is The recovery period, which is one of the stumbling block for most MMA fighters and it’s the biggest obstacle for hacking and maintaining the zone or the Flow State. After experiencing the dramatic high performance, you will get your emotion dropped as you are not feeling as superhuman as you felt just a while ago. You need to rebalance and rebuild all those energy used with meditation. Deep down we all understand the importance of adding meditation into our routine. However the value we give it is generally very low. I hope for you, that this article triggers a need to incorporate meditation/Flow into your daily plan. Correct meditation and correct exercises do not require a massive amount of time to practice. However, in failing to add this simple method you will dramatically impact the quality of time you have to train. You can find out more on Meditation for fighters and the Flow State with this short video tutorial. Thanks for reading! And stay in Flow for more. 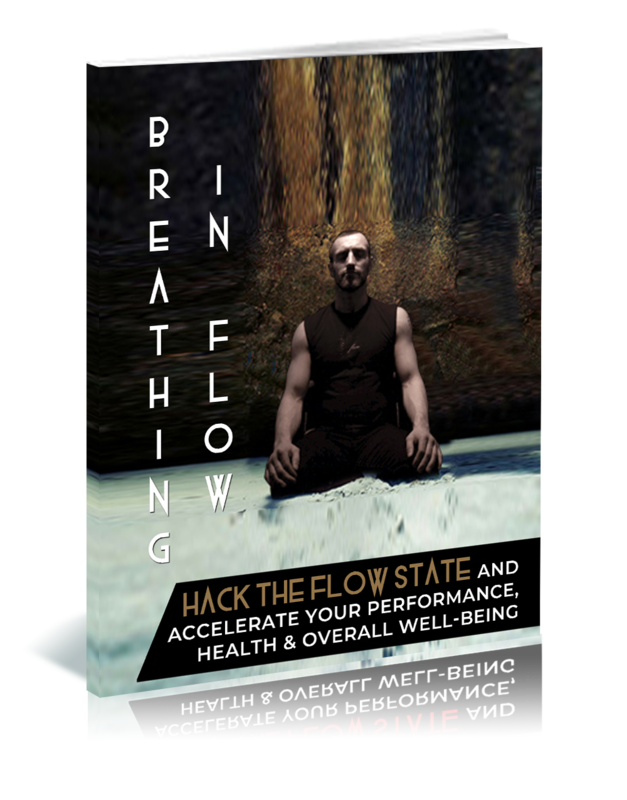 FLOW STATE COURSES & ACCELERATE YOUR FIGHT GAME!